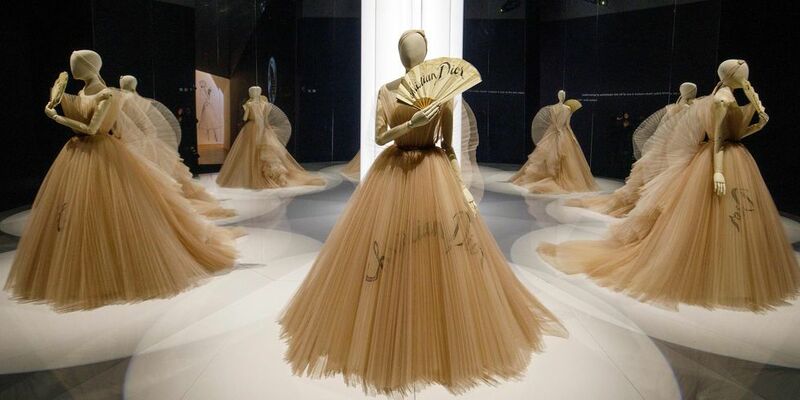 The exhibit features over 500 pieces (including 200 couture gowns) ranging from 1947 to the present day, spotlighting the stunning creations of Dior and his six successors since then. The exhibit also features custom pieces explicitly made for the red carpet, such as Jennifer Lawerence’s red gown for the Oscars. Also on display are Christian Dior’s personal possessions, accessories, fashion photography, film, vintage perfume, original make-up, and illustrations.